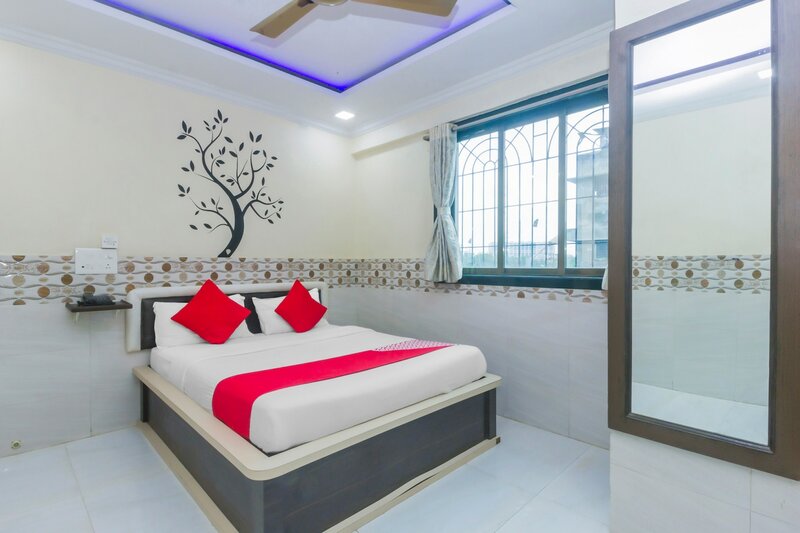 Visitors coming to Navi Mumbai who are very short on time and looking to stay somewhere closer to the important places of interest would get a comfortable retreat in Mahape. Spacious rooms come with pleasant decors that give you a positive vibe during your stay. Provision of various basic amenities and comfortable wooden furniture make for a relaxing stay. With high speed Wi-Fi, youll stay connected with the world. Laundry service is also offered here. CCTV cameras are installed in the premises to ensure security of your stay. The hotel offers parking facility giving your vehicles a secure area. ISKON Khargar is at a short distance and ideal for a short visit.